After working as a writer for Forbes and later Newsweek, Dan was let go at fifty-two, and spent a year at Hubspot. 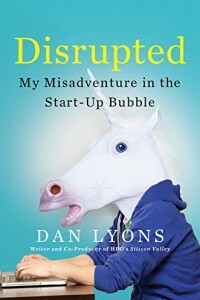 His book Disrupted My Misadventures in the Start-Up Bubble tells that story. This is my take on that story, my takeaways … and a few ideas for you. Among his peer journalists, Dan is known primarily as a story teller — an entertainer. For this purpose, Disrupted does not disappoint. Listening to the book on Audio, I can see the programmers on skateboards with skinny jeans and wire-framed glasses in Silicon Valley, waiting in line to drink eight-dollar coffee. After a few misadventures covering Silicon Valley, Lyons ends up at Hubspot, where he describes the wall of candy, “beer Friday” culture, 24-hour content hackathons (to which the old reporter replies “couldn’t we just write a few more blog posts this month?”), slogans like “one plus one equals three” , of course, bouncy-ball chairs, which he is asked to sit in on day one. The book is worth reading for pure tragic hilarity alone. In some circles, though, a few people have asked the question if Lyons went to Hubspot, and had a bad time, in order to write a book about having a bad time at Hubspot. It’s a tough question. Early on in the book, Lyons pokes fun at the “1+1=3” idea, which, he points out, is ridiculous on its face. Yet that expression has a specific meaning – that the whole is more than the sum of its parts. The simplest example of this is two companies that share a common customer base but do not compete. For example, a real estate agent and a mortgage broker, that start to refer business to each other. By merging, or at least working together, the two can create something bigger than an accountant might see adding the two sales totals together. An accomplished writer for Fortune and Newsweek, Lyons doesn’t seem to “get” this and he certainly doesn’t explain it to his audience. It occurs to me by chapter seven that all this is on purpose. The company is taking high achievers, who, all their lives, have tried to work hard and earn good grades – and turn them into machines that will crank out the kind of metrics they need – leads, qualified leads, and sales. And that is the real magic of the book — it explains inbound marketing without putting you to sleep. As the book opens, Lyon is hoping to help the CEO and CTO improve their blog. The problem is, it doesn’t need fixing. At least, that is what his colleague on the Content Team think. Their job is to write little listsickles “Ten things you can do to improve traffic”, then, get a reader to fill in their email address in a field at the bottom of the blog to sign up for an eBook. Sign up for an eBook, and you are “in the funnel”, and will get an automated email in a week, driving you to get something else free. Getting that will cost you a phone number – and then they have you. You’ll get a phone call from a sales rep, who will keep calling you up until you see a demo, when you are passed to someone else, who now sees you as a sales prospect. This is, essentially, what Hubspot’s software does – it helps get contact information from readers, then helps you contact them. The hidden part of the story is the army of sales staff, boiler-room style, that Hubspot employs. Hubspot is the poster-child for “permission based marketing” which is supposed to invert the relationship, getting customers to give over their contact information and ask for a call — in reality, inside the belly of the beast, the author can’t tell much difference between that and a classic high-pressure cold-call stock room. Think about that for a moment. But the real lesson I took from the book is how Dan failed at Hubspot. When Dan walked into Hubspot on that first day, his title was “Marketing Fellow”, which he describes as “kind of cool.” His job descriptions, however, was undefined. The CEO who hired him had a business to run, passing him off to “Cranium”, the Chief marketing officer. Cranium passed him to Wingman, who passed him to Zach, the manager of content, who didn’t give Dan any direction. So Dan reacted for the next three months, accepting meeting invites, and, well, going to meetings. After three months he realized his job was to write for the blog, with Zach telling him “write about anything”, but he didn’t seem to understand the marketing goals of the writing (to generate leads). Thus he insulted his co-authors for writing “dumb” articles that were feeding the company sales leads. You could argue the company setup is a bad one; that’s fine. I wouldn’t disagree with you. What Lyons did was fail to follow the lay of the land – he didn’t understand what was going on. He didn’t understand the business model. He failed to develop any real meaningful friendships — I mean, any friendships. He took his idea, of a online Magazine tied to the conference, over the head of three or four layers of management, getting approval from the CEO alone in a room, then went on a two-week vacation in the mountains with no cell coverage. If you wanted to write an article on what not to do about change management, that’s it. It’s almost nearly the exact opposite of Kotter’s 8-step model, which starts with creating a coalition. The idea with enough rope is simple. Say senior management knows that a system is a problem, or there is some opportunity to improve, but it is … dicey. Relationships are involved. People could get upset. So they recruit an outside actor to do some stuff. If it works out and everyone is happy, then senior management can swoop in to take credit, after all, this all happened due to their vision and foresight. It if doesn’t work out, well, they really weren’t involved in what Dan was doing, day-to-day. Why, they weren’t even managing him, or his boss (Zach), or his boss (Wingman) – just working directly with the Chief Marketing Officer, “Cranium” in the book. This is a “Heads I Win, Tails You Lose” gambit. By sitting back and reacting, Lyons left his fate up to other people, who had no interest in changing the system. If he had taken action on his own, well … at least he would have had a chance. There’s plenty of other lessons in the book; I may have to come back to talk about more of Lyons political moves. For now, you have a flavor of the piece, and probably want to decide if it is worth your time and a little bit of your money. I certainly recommend Disrupted as an entertaining yarn. 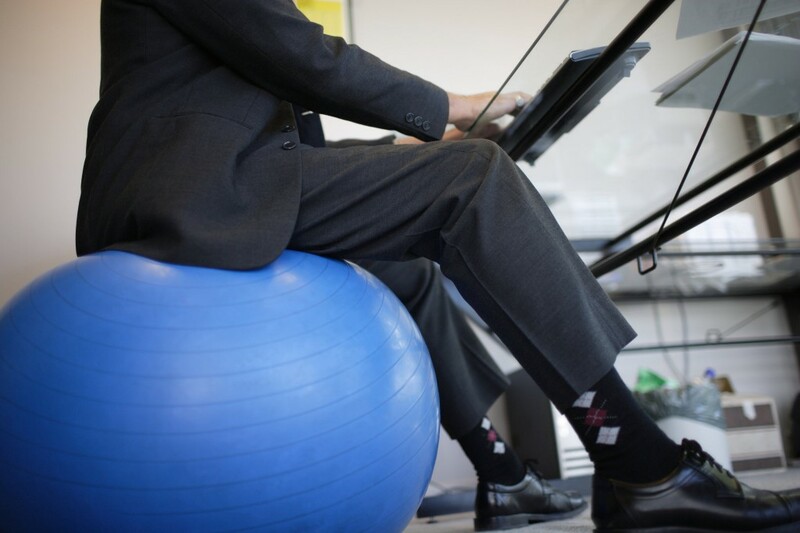 There are real insights into some of the social problems happening with “bubble” companies, in the investing markets, and with Ageism in the silicon valley culture. For the lazy, he makes this claim around 26:40 in the talk. Just … take it with a grain of salt.